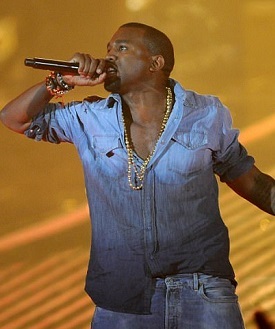 Fans Divided Over Kanye & Jay Z On Twitter! But Who Used Who? They're two of music's best-selling artists with dozens of hit records and millions of fans worldwide. 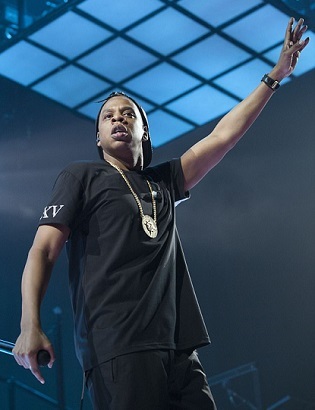 Though after watching the British documentary Public Enemies – Jay-Z vs Kanye on Channel 4 on Monday night, fans took to Twitter to accuse New York rapper Jay-Z of 'using' his former protegee. The Channel 4 film followed the friendship turned feud between hip-hop's brightest stars, which left viewers divided on their allegiance. And after gaining an insight into the backgrounds of music royalty, viewers overwhelmingly appeared to be sympathetic to the Chicago rapper ahead of Jay-Z. Billed as an exposé of their turbulent relationship, the TV show asked childhood friends to a glimpse into what both men were like growing up. In one such scene, Kanye's childhood friend Eugene McNair showed audiences the rapper's bedroom where they all used to record tracks together. Opening the door to a messy room, still littered with musical equipment and posters of famous rappers, Eugene explained what the 'lab' was like during those formative musical years. There was no disputing that the duo were destined for greatness, but it was Jay-Z who acted in a mentor role to get Kanye to the top. The 'user' theme was repeated often by frustrated Twitter fans, with one person even suggesting Jay-Z bullied his 'little brother' Kanye. Meanwhile, another user pointed out that as a producer, Kanye was responsible for some of Jay-Z's biggest hits. Despite the sympathy towards Kanye, some in turn went on the defensive of Jay-Z, dubbing the New York man's maneuverings 'just business'. Chrome Hitz continued the defense of Jay-Z by suggesting that without the New York rapper's help there would be no Kanye West. » Fans Divided Over Kanye & Jay Z On Twitter! But Who Used Who?